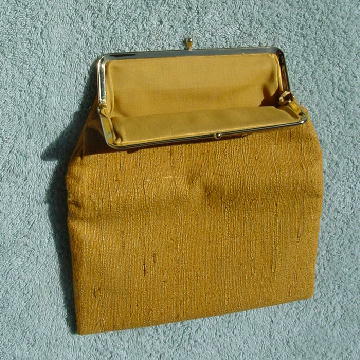 This vintage fabric clutch is in a golden maize color. It you're not carrying that much, you can fold it over. If you're carrying a lot, then the clutch can be opened to its full height. It's nice fabric with a textured surface (it reminds us of a raw silk finish). 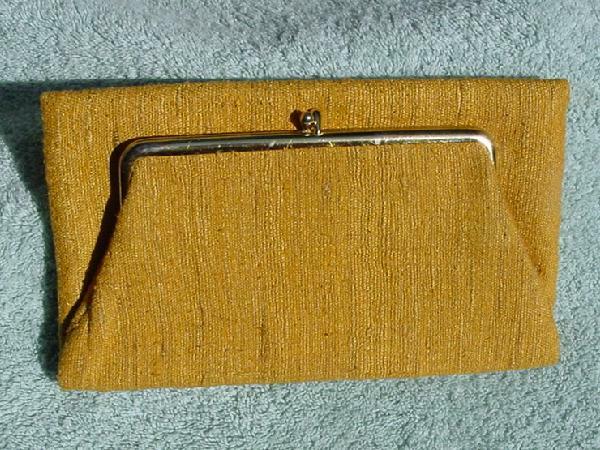 The nice fabric interior lining is in a honey maize color.